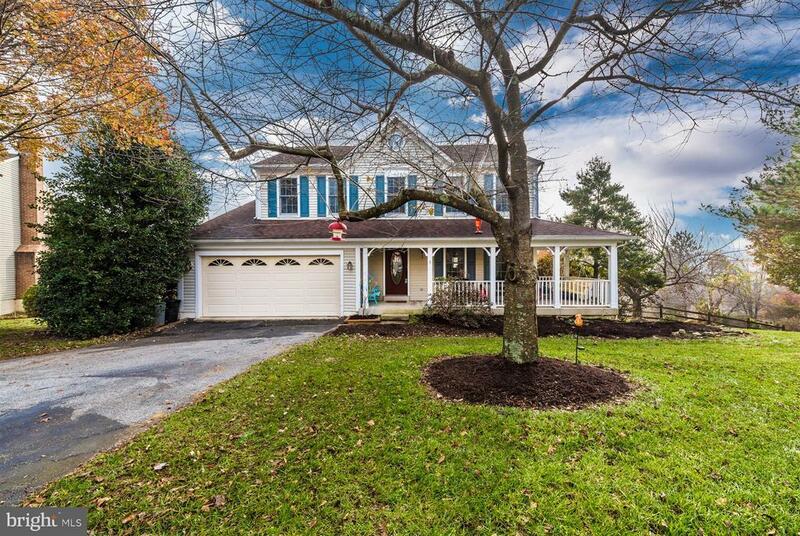 Youll feel right at home in this beautiful 4 bedroom 3 ~ bathroom colonial home in Spring Ridge! Located at the end of a quiet cul-de-sac youll feel welcomed onto the partial wrap-around porch. The main level features a formal living room, dining room, spacious kitchen with gorgeous breakfast room and family room with wood fireplace - all with beautiful bamboo floors. The upper level offers four spacious bedrooms with brand new carpet and a convenient laundry room. Then the lower level with walkout is fully finished, with a full bath, ample storage, and new carpet. Plus the home offers a large deck, fully fenced yard, and playset. This home is just waiting for you to call it your own!